Listen now to Scott Beebe teach you how to stop working IN the business and get your life back! This podcast is a perfect complement to so many of the things we do at Simon Associates (SAMC). Our guest today is Scott Beebe, whose specialty is helping small businesses organize themselves better for growth. He says, as do we, that if you don't know where you're going, you'll never get there. Far too often, business owners are so busy working in the business that they forget to stop and reflect on the business itself. Therefore I urge you to pause, listen and learn! We all know how hard it is to have a strategy, much less the right one. At SAMC, we talk about this all the time because our clients are often trying to answer the same questions (maybe you are too): "Is my vision the right one? Is the business model in need of a revamp? And, what about strategy? Do we have one or is the In Box driving business?" As corporate anthropologists, the other crucial component we feel that business people really need to understand is their corporate culture. Do you know what your culture is? Is it the one you need to sustain your growing business? Or is it better suited to when you were just starting out? Once you really dig into these questions, you may conclude that your culture is actually holding you back and needs to be overhauled. Ready to be liberated from the chaos of working IN your business? 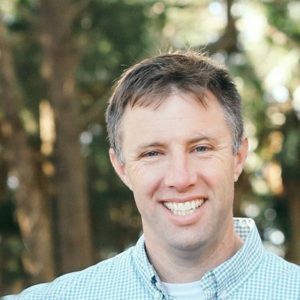 Scott Beebe is the Founder and Head Coach of My Business On Purpose, a multi-broadcast platform that equips, inspires and mobilizes business professionals to live out their skill sets. He also hosts the Business On Purpose podcast. His specialty is liberating small business owners from the chaos of working IN their businesses by helping them articulate and implement intentional Vision/Mission/Values, Systems and Processes. In our podcast, Scott talks about his Four Steps To Business Freedom, a 6-month group coaching experience exclusively for small business owners (under $25mm and less than 25 employees). This program shows business owners how to build the systems and processes they need to get their businesses—and lives—back on track. You might find our unique approach to helping you change your organization of value. We know that change is pain. The brain just hates to stop its old habits of the past and learn new things for the future. But, there is a way. To learn more about our change management methods, give us a call and we can talk about your needs and how to help you and your organization adapt to the fast pace of today's business environment. We look forward to hearing from you.